On the News Service, Alva French had a piece on a mecca for graffiti artists. Nathan Frandino and Annais Morales did a story on a New Yorker who recycles old bikes. Ms. Morales was also back in the New York Post last month. In addition, busy Annais had a contribution on the latest episode of “219 West”, as did Alcione Gonzalez, Sherrina Navani and Michael McCutcheon. Elsewhere, Ad Age recently had a nice breakdown of The Demographics of Social Media. Speaking of which, check out The Most Complete Twitter Application List Available. And what would the last post of the school year be without another Census tool? Best semester ever. Now please go out and kick you-know-who’s you-know-what in a research contest. 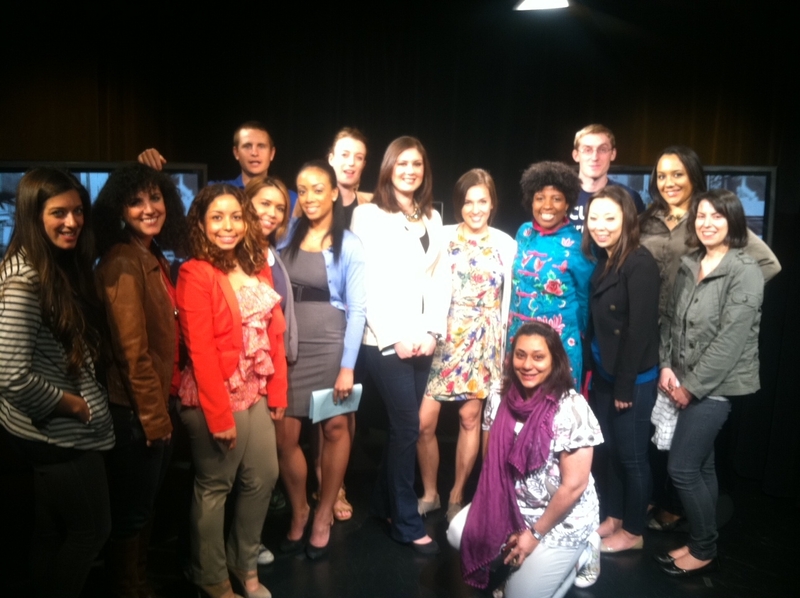 Broadcast Craft, Spring 2011: I'm expecting fame and fortune from this crew. Last words: Until we meet again, Uncle Don. Please welcome today’s guest speaker, Jonathan Dienst of WNBC.